The Portland Photographic Society was founded in January 1940 in Portland, Oregon. The four founders were Towner H. Phillips (1903-1993), Louise Phillips (1910-1978), Joe Smith (?-? ), and May V. Nordstrom (1896-1981). In 1939 and 1940, the four planned and formed a new, central Portland camera club, titled the Portland Photographic Society, as the primary Portland camera club at the time would not enroll women. The four founders felt that a co-ed camera club, open to all, could be formed and succeed. May V. Nordstrom (born Viola May Harris) was a member of the Miami Tribe of Oklahoma, a Federally recognized Native American Tribe. 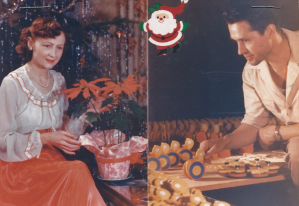 Towner and Louise Phillips (born Louise A. Gutkaes, in Mexico) were toy makers, shown in this photo with their first model, the Rolla Duck. Many years later, Towner and Louise moved from the Portland area to California, but left a legacy that lives on today. “Our first real camera was an Ikoflex F 4:5 lens 2 1/4 x 2 1/4. Louise’s uncle sent it from Germany. Our first prize picture was awarded in the Journal Snap Shot Contest. It was a snap shot of our three year old son Jimmy, sitting on a row boat on the Sandy River. The Journal titled it, “Reel Concentration” because he was looking down on the fishing rod. In November 1995, the Portland Photographic Society merged with the Oregon Camera Club, which was formed in Portland in 1895. Merger talks began in 1991, but took several years to formalize. At the time of the merger, the Oregon Camera Club had about a dozen active members, while the the PPS had about 60 members, so the PPS name was retained. All Oregon Camera Club members were given lifetime memberships to the PPS. A dominant force in Oregon photography, the Oregon Camera Club helped form many spin-off and competing clubs over its 100-year history, including the PPS and Oregon Color Slide. In 2006, the Portland Photographic Society merged with the Oregon Color Slide photographic club, which was founded in 1951. Oregon Color Slide merged with the PPS following a lengthy integration process during most of 2005. Both clubs were structurally similar, and many people were members of both groups. The PPS name was retained due to the PPS’ slightly older heritage and the Oregon Color Slide name being less-descriptive of the club’s activities overall, especially considering the growing popularity of digital photography at the time. In June of each year (the PPS activity calendar begins in September and ends in August), we put together a “yearbook” with a letter from the president, a summary of the year’s activities, and also the society’s bylaws and other information. This document has been discontinued along with the newsletter, as this type of communication has largely been replaced by email. September – Portland Skyline – Try for a unique view of the Portland skyline, either down town, stump town, or the east side. October – Action – A depiction of dramatic movement. The subject could be animate or inanimate, and the movement could be imminent or ongoing, but it should be dramatic: something involving rapid motion, change in direction, or an emotional component. November – Past Its Prime – Any subject that it starting to look a little shabby such as old cars, barns, old buildings, drooping flowers, people that look like they are on the downhill slide. February – Multiple Exposures – Two or more unique exposures superimposed on each other either done in-camera or in post processing. Does not include HDR, focus stacking etc. May – At Night – Anything shot after dusk and before dawn. That includes but not limited to a Milky Way shoot, star trails, city skyline at night to that grungy back alley after dark (if you are brave enough). December – What is it? March – What is it? Prior to the 2005-2006 year (where PPS merged with Oregon Color Slide) PPS had separate categories for projected images and prints: 18 different categories per year. Monthly image themes are selected once per year, during the summer. Members are polled by email for their suggestions, and then everyone votes on their favorites from the suggestions. Category High Point replaces the Category High Point Projected Image and Category High Point Print awards. Beginning in 2013, there is just one competition combining the former two. To win, a member has to receive the highest total number of points in the monthly theme competitions for the PPS year (September to May). Obviously, members must submit images every single month in order to effectively compete for this award. The Best Nature Award was created for the 2013 year as a combination of several former categories – the Spring Landscape Competition, the Best Wildlife end-of-year award, the Paul M. Rising Memorial Trophy: Best Autumn Color Landscape, and the Thelma Locke Award: Flower Slide of the Year. Please see below for the historical winners of these categories. Members are awarded this trophy and plaque for “going above and beyond” their duties as an officer or member of the PPS. In honor of former Portland Photographic Society and Oregon Color Slide member Mrs. Berrie Hancock (August 27, 1894 – October 1968). Berrie was an active participant in many Oregon groups, including the Northwest Federation of Mineralogical Societies (then the Northwest Mineralogical Society), the Geological Society of the Oregon Country, and the Oregon Museum of Science and Industry (OMSI). Berrie’s husband, Alonzo (“Lon”) Hancock (1884-1961), a geologist and fossil hunter, was a longtime benefactor of OMSI, and the Hancock Collection at OMSI, and Hancock Field Station in John Day, still bears his name. In 1951, Lon and Berrie Hancock took 14 boys and a volunteer staff for the first 12-day summer camp under OMSI sponsorship. Today, Camp Hancock now serves more than 4,000 students per year from around the world. Berrie was an avid pianist and singer, and accompanied her husband throughout their lives on their many adventures. In memory of Paul M. Rising (September 20, 1901 – June 1976), longtime Oregon Color Slide member and photographer. 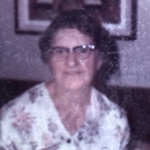 In memory of Thelma Locke (Aug. 3, 1904 – Oct. 21, 2002), longtime Oregon Color Slide member and talented photographer. A PPS award given before medium format film was largely replaced by digital capture. Gene Lambert not eligible to win. 1971 – Donald Lutts, Jr.